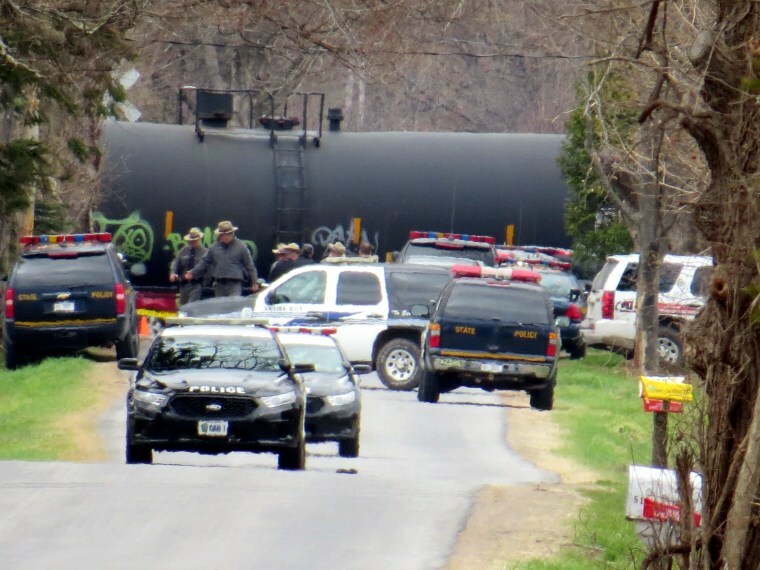 The death of a New York couple who stood together in front of a freight train was ruled a murder-suicide Wednesday, but investigators can't say why or when Earl Myatt Jr. decided to drive his beloved wife of 42 years to the railroad crossing. Relatives have said Myatt became despondent after his wife, Mary, suffered a brain aneurysm in January that left her with the mental capacity of a toddler. Troopers said Earl Myatt called one of his sons and apologized two minutes before stepping with his wife onto tracks in the path of an oncoming CSX Railroad freight train on Sunday. Police said a railroad video showed them waiting on the tracks before they were hit and killed. A suicide note was found in Myatt's car. "We're devastated," Brad Myatt, one of their sons, told the Utica Observer-Dispatch. "But I want everyone to know that my father was a good man, and my mother was an angel who would do anything for anybody." Trooper Jack Keller said it was determined Earl Myatt was responsible for the deaths after interviews with family, physicians and others. "All the evidence has shown it was the husband's decision, the way the note was written and the call was received by the son," Keller said. "We're not sure whether his wife knew what his plans were and how much involvement she had." He said the investigation is continuing. "One thing we don't know is if he decided that morning or the night before," Keller said. "There's no evidence of how long he had planned it." Keller also said there are questions about why Myatt did what he did. "A lot may never be answered," he said. Married in 1972, the couple had two sons, four grandchildren and a variety of jobs that made them familiar faces in Oneida, their hometown. Both were born there within about a month of each other in 1954. Mary had worked as a teacher's aide, medical office receptionist and as manager of the Mohawk Community College bookstore in Rome before she was incapacitated and sent to recover at an extended care facility. Her husband was a golfer and worked as text book manager at the community college branch in Utica.